GP’s can complete a course in just 15 minutes. A game changer for time-poor GPs. GPs can do SR e-Learning at work, in work time, when they have a patient that does not show. SR e-Learning is also accessible to Nurses and other practice staff – e-Learning Certificates will be helpful for nurses to have on file as part of their ongoing professional development. Courses are an endorsed CPD activity by RNZCGP. SR also registers course completion details for all GP’s completing each individual course with RNZCGP – saving time and hassle for GP’s. How did SR e-Learning start? 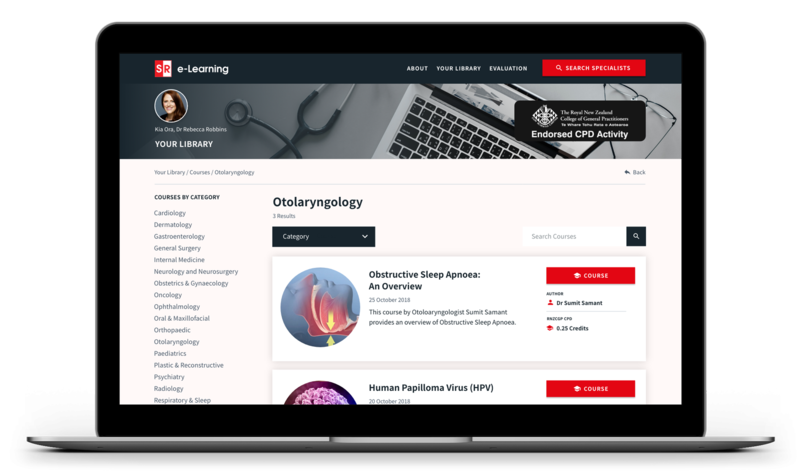 The idea of bite-sized SR e-Learning was actually suggested by a GP at the GP CME in Rotorua in 2018. GP’s love SR as a time-saver, convenient and easy to use referral tool. 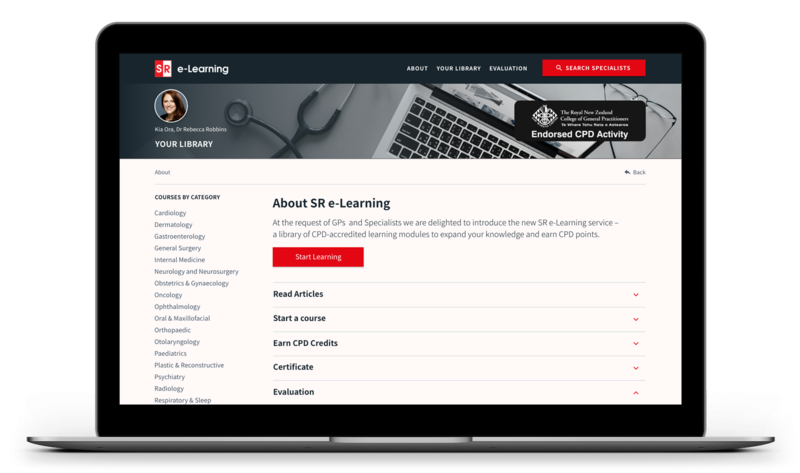 The idea of extending the SR features of convenience and ease of use into the e-Learning space has strong appeal to GP’s and Specialists alike. With hundreds of GP’s already logging into SR on a daily basis, using it as an opportunity to encourage e-Learning and build the relationship between GP’s and specialists is a “no-brainer”. Talk to us for more info and booking e-Learning packages.